One of the most common requirements imposed on probationers in Florida is a restriction on travel. It’s outlined as a standard term and condition of probation per F.S. 948.03, and the court has a great deal of discretion in setting the boundaries of your travel restrictions. You could be confined to house arrest. You could be required to stay within your city or county unless you have prior approval from your probation officer. You may be restricted from traveling out-of-state, or you may be mandated to stay within U.S. borders. 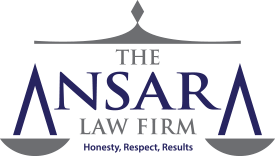 The Fort Lauderdale probation violation attorneys at The Ansara Law Firm know that if you fail to obtain the necessary permission before traveling while on probation, you could be sanctioned severely – with penalties including a return to jail or prison. F.S. 948.06 holds that if you violate probation or community control conditions in “material respect,” you can be arrested without a warrant and returned to court to face punishment. Alternatively, if your probation officer informs the judge that you have violated the terms of your probation by disobeying your travel restrictions, the judge has the authority to issue a warrant for your arrest, require an appearance before the court and require you to be held without bail until that time. Violating a travel restriction order while on probation is what is known as a “technical offense.” In other words, it is not in and of itself a felony, misdemeanor or criminal traffic offense. It’s not something for which anyone else not subject to those terms and conditions of probation would face a penalty, and they aren’t generally considered serious. Still, that doesn’t necessarily mean you won’t face serious consequences for it, which is why it’s best to have an attorney by your side when you arrive for your hearing. Per F.S. 948.06(1)(h), the court may opt for alternative sanctions for technical offenses. As noted by Florida’s 13th Judicial Circuit Court, it’s in the court’s best interest to reduce the burden of processing technical violations by having a set of prescribed alternative sanctions for the most common probation violations. For instance, if you report late to your probation officer or fail to report as instructed, you will be required to report weekly for 45 days, then twice monthly for 60 days and complete an additional 25 hours of community service work. It’s the same if you fail to remain at your residence during the curfew period. If you fail to maintain an approved schedule or have an unapproved absence from a required location (i.e., late getting home, stopping on the store on the way home without permission, etc. ), you’ll be required to call in weekly for six weeks and report thrice monthly for 90 days. Note that if you agree to enter the alternative sanctions program, you are in effect admitting you violated probation. If you violate the order of probation again, any previous violation is going to show up on your score sheet and you will face even more serious penalties. So When Can You Leave? Much of this will depend on the terms and conditions set forth at the time of your probation. That’s why it’s a very smart idea to have the best criminal defense lawyer present with you at that time. We can help negotiate more favorable terms at the time your probation is set. Courts generally do weigh the circumstances of the case, as well as defendant’s employment, habits and other factors when setting travel restrictions for probationers. If you have a big out-of-town event coming up of which you are aware (i.e., a wedding, a funeral, a job interview, etc. ), our defense attorneys may be successful in asking for you to have permission to travel for that express purpose at the time your probation is established. In Florida, probation is considered a privilege. The court isn’t required to grant your request, even if it’s for a seemingly good reason. That’s why having a persuasive lawyer is important. If you do not have permission to travel out of the country, state or county, it is unwise to do so without express permission from your probation officer. Even then, you are likely to need a very good reason for doing so (i.e., serious illness of a family member, key job opportunity, etc.). Travel that is for purely recreational purposes is likely to be denied if offender isn’t current with his/ her other conditions – including financial obligations. If your request is denied by your probation officer, you will need to consider whether it’s worthwhile to consult with a probation attorney to discuss filing a motion to travel while on probation. Ultimately, it will be the court that has the final say.